Have you ever had an idea that you thought might make a good business? How far did you pursue that idea? Did you evaluate it and try to figure out if you should pursue it? Did you start to dabble with how to execute your idea? Did you try and create the product or service? Did you launch it? The five stages above – idea, evaluation, dabbling, doing and launch – comprise the pre-entrepreneurial process. Every entrepreneur and would-be entrepreneur goes through at least part of this process. If you made it all the way through, congratulations! 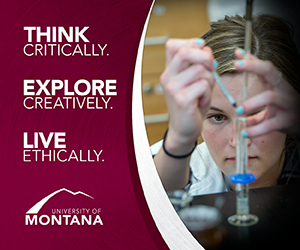 You are part of Montana’s vaunted community of entrepreneurs. Fifteen percent of Montana’s workers are self-employed – that’s 50 percent higher than the U.S. average and ranks Montana first among all states. For the past four years, Montana has also ranked first on the Kauffman Foundation’s Index of Entrepreneurship. If you are a man, odds are you made it further through the pre-entrepreneurial process than if you are a woman. Women comprise only 33 percent of Montana’s self-employed workers and only 18 percent of Montana’s firms with employees are majority female owned. To be fair, women are underrepresented as entrepreneurs across the country, not just in Montana. Nationally, only 35 percent of self-employed people are women and 17 percent of employer firms are majority female owned. The big question is why are women less likely to choose to become entrepreneurs? The answer appears to lie within the five stages of the pre-entrepreneurial process. Women are not just less likely to make it all the way through the process, they are less likely to make through each of the stages. For instance, since 2014, both the University of Montana and Montana State University have had Blackstone LaunchPads (BLP). These Blackstone LaunchPads help students, alumni, faculty and staff turn their ideas, skills and passions into real world businesses and nonprofit organizations. BLP helps individuals explore any entrepreneurial idea and provides free consulting and resources to help them progress. There is no requirement to use their services, other than being affiliated with either university. In spite of comprising more than 50 percent of students, women have been less likely to use BLP resources at UM and MSU. Over the program’s first 18 months, women made up just 31 percent of those who registered with the Blackstone LaunchPads. In a recent research project funded by the Kauffman Foundation, Paul Gladen (UM’s Blackstone Launchpad), Kathy Kuipers (UM’s Department of Sociology) and I sought to better understand women’s progression through the pre-entrepreneurial process using survey data from UM students. We found that women were less likely to report having had an idea for a new venture. Seventy-seven percent of men report having had an idea, but only 64 percent of women did the same. Thus, men are 20 percent more likely to report a past idea. Women were also less likely to report that they would pursue a new idea if they had one. Eighty-four percent of men reported that they would spend at least a few hours pursing an idea, but only 68 percent of women indicated they would. In addition, only 28 percent of women indicated that they would be likely or very likely to pursue a new idea all the way through launch. In contrast, 48 percent of men thought it was likely or very likely they would pursue an idea through launch. Consistent with this, 29 percent of women and 45 percent of men believe it’s likely that they will launch a venture at some point in their lives. So why are women less likely to show interest in pursuing ideas for potential new ventures? We can group explanations for this disparity into two broad, though not exclusive, categories. First, the difference may reflect objective challenges that disproportionately affect women. For instance, women may face particular barriers, such as a lack of particular skills or traits, difficulty accessing supportive networks, difficulty accessing capital or discrimination. 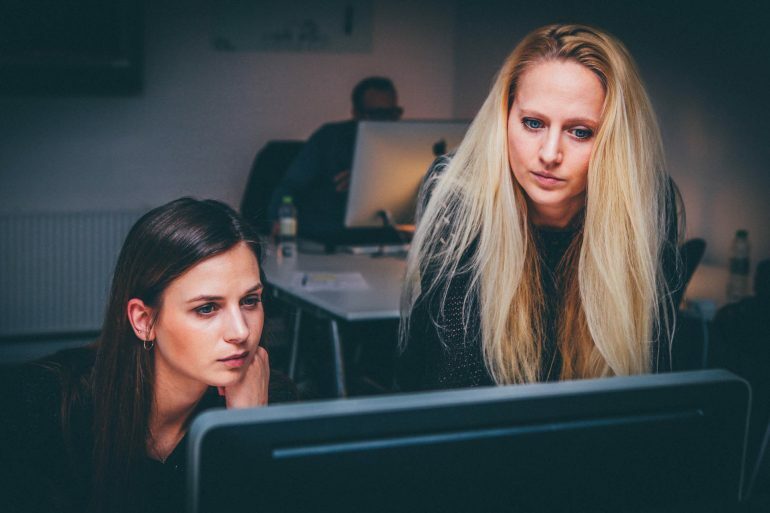 Such barriers may decrease the odds for female entrepreneurs to succeed. Low rates of participation in pre-entrepreneurship may reflect a woman’s rational response to these barriers. Fewer women choose to pursue entrepreneurship because they know that they will face these barriers. In this view, removing barriers or training women how to clear them, would increase female entrepreneurial participation. Second, disparities in entrepreneurial engagement may stem from differences in perceptions of entrepreneurship. Women may be more likely to underrate their potential to succeed as entrepreneurs. This could reflect women overstating what it takes to succeed as an entrepreneur or it could reflect women underrating their own ability to succeed as entrepreneurs. It could also reflect women imagining barriers they may or may not face. In this view, changing how women perceive themselves and/or entrepreneurs could increase female entrepreneurial participation. Our study did not attempt to measure objective barriers, but we did find evidence that women and men perceive entrepreneurs differently. We asked survey respondents a variety of questions about their perceptions of the potential costs and benefits of entrepreneurship. Overall, men and women offered similar answers to these questions. For instance, both men and women tend to agree that entrepreneurs face challenges that may not be offset by rewards. Clear majorities of both men and women agree that entrepreneurs face financial risks, work long hours and sacrifice other interests. Yet, minorities of men and women agree that entrepreneurs are more respected, enjoy greater flexibility in their everyday lives and earn more money. While men and women have similar views of entrepreneurs, there are some differences. For instance, men are more likely to state that becoming an entrepreneur is an important life goal. One-third of men, but less than one-fifth of women, say that starting a venture is important to achieve their best possible life. Women are also more likely than men to cite potential time costs, emotional risks, lack of know-how and lack of skills as reasons why they would not pursue a new idea. While this research suggests that perceptions may matter, more research is needed to clarify the relative roles for objective barriers and perceptions in creating the gender disparity in entrepreneurship. 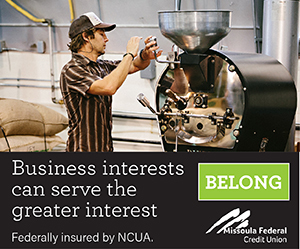 Ultimately, entrepreneurs are a key ingredient in building a more robust, resilient Montana economy. The underrepresentation of women among Montana entrepreneurs suggests that our economy may be underutilizing its potential resources. For Montana’s economy to reach its potential it is important to do more to broach this untapped potential. At a minimum, this requires getting more women engaged in the pre-entrepreneurial process. We need more women to pursue new ventures – to evaluate, dabble, attempt to create and launch their ideas.